Mises and Rothbard both deemed it essential to apply libertarian principles to particular circumstances with the requisite practical judgment. In doing so, they argued, support for secession is almost always the preferred course. The essay in its entirety is very important as it delves into the thinking of Murray Rothbard and Ludwig von Mises on secession. closer examination to see whether the arguments of Mises and Rothbard are consistent with advocacy in favor of current day secession for Catalonia. I also note that the commentary begins very carefully: "Many people in Catalonia wish to secede from Spain and form their own country..."
But the word many does not provide us with strong insight. How many is many: 1 million, 2 million, 3 million or more? 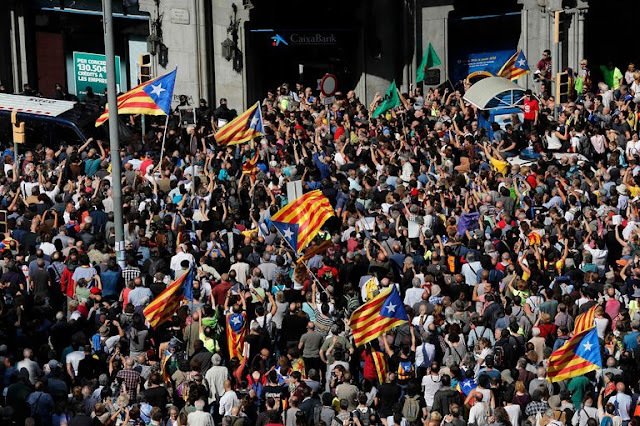 I say this is not strong insight because Daniel Lacalle, a Spanish economist and libertarian who lives in Spain, tells us that "many" are opposed to secession. This "many," then, leads to quite the numbers stalemate-- if numbers held weight. Dr. Gordon quotes Ludwig von Mises from his work Omnipotent Government, where he supported an independent Catalonia. Señor Salvador de Madariaga is one of the most internationally minded of men. He is a scholar, a statesman, and a writer, and is perfectly familiar with the English and French languages and literatures. He is a democrat, a progressive, and an enthusiastic supporter of the League of Nations and of all endeavors to make peace durable. Yet his opinions on the political problems of his own country and nation are animated by the spirit of intransigent nationalism. He condemns the demands of the Catalans and the Basques for independence, and advocates Castilian hegemony for racial, historical, geographical, linguistic, religious, and economic considerations. It would be justifiable if Sr. Madariaga were to refute the claims of these linguistic groups on the ground that it is impossible to draw undisputed border lines and that their independence would therefore not eliminate but perpetuate the causes of conflict; or if he were in favor of a transformation of the Spanish state of Castilian hegemony into a state in which every linguistic group enjoyed the freedom to use its own idiom. But this is not at all the plan of Sr. Madariaga. He does not advocate the substitution of a supernational government of the three linguistic groups, Castilians, Catalans, and Basques, for the Castile dominated state of Spain. Thus, Mises support of a separate Catalonia was limited. He makes clear that his position would have been different if Spain would have allowed Catalonia more freedoms particularly the use of the local idiomatic language. Originating in the historic territory of Catalonia, Catalan has enjoyed special status since the approval of the Statute of Autonomy of 1979 which declares it to be "Catalonia's own language", a term which signifies a language given special legal status within a Spanish territory, or which is historically spoken within a given region. Preserving peace holds primary importance. But if secessionist agitators start a civil war, how is this more peaceful? Was the horrific U.S. Civil War, a secessionist triggered war, peaceful? Did the South achieve anything by this war? Further, how is it in any meaningful sense more peaceful domestically if a state becomes more oppressive? Or are separatists prepared to argue that Auschwitz or a Russian gulag were places of peace because there were no pitched battles? Do they really think greater oppression represents an advance toward "peace and prosperity"? Rothbard had little use for the notion, held by some libertarians, that because only individuals exist, nations have no significance. “We must not fall into a nihilist trap. While only individuals exist individuals do not exist as isolated and hermetically sealed atoms. Statists traditionally charge libertarians and individualists with being 'atomistic individualists,' and the charge, one hopes, has always been incorrect and misconceived. Individuals may be the only reality, but they influence each other, past and present, and all individuals grow up in a common culture and language.” Like Mises, Rothbard does not require a seceding group to be classical liberal in orientation in order to secede. If it is not, that is unfortunate; but the members of the group do not lose their right to form a new political association. If we are to recognize that nations have significance, and they do, are we not allowed to look at the nature of the oppression of these significant different nations? Isn't the real problem the unrealistic pretzel-like belief that a secession into a more oppressive state would somehow ultimately lead, through a maze of new oppressive states, to libertarianism on earth? If the current government of Spain provides more liberty for those who want liberty in Catalonia, then shouldn't we support our libertarian brothers and sisters in Catalonia in their fight against secession, and the greater oppression that secession would bring, and not be seduced by the "Secession always!" siren? Down with the communist dog separatists of Catalonia! I guess I just have a problem with the idea that a Catalonian should kiss the ring of tyrant A in Madrid in order to gain protection from tyrant B in Barcelona. I understand as a matter of self-preservation these are sometimes the kinds of choices we're faced with, but this is FAR from any kind of libertarian ideal. It would be much easier for Catalonians to get rid of tyrant B and it would be for themntonget rid of tyrant A and the whole tyrannical apparatus managed from Madrid. Yeah, I still believe smaller, local political units necessarily tend to emulate the market to a higher degree than larger, more distant ones...but they are still just emulating markets. Maybe if they do secede, and eventually fail, there will still be people around with the value systems and capital to try liberty in their smaller state...hard to know. But it will be tough in any case. Along these same lines would you oppose the secession of California if the masses there decided it would be in their best interest? If not, please explain. "But if secessionist agitators start a civil war, how is this more peaceful? Was the horrific U.S. Civil War, a secessionist triggered war, peaceful? Did the South achieve anything by this war?" The Civil War was initiated by Lincoln's maniacal desire to "preserve the Union" for economic purposes. The South peacefully seceded, and then Lincoln invaded. Why should the South's secession be criticized because of Lincoln's aggression? Similarly, the original Colonies seceded from Great Britain, which then started a war to try to reverse the secession. If seceding then being invaded is a wrong which refutes secession, what kind of value system is that? It means the invader can make the seceding party the guilty party simply by aggressing against the seceding party! Separately, to your broader point Robert, why can't a libertarian support all attempts by people to rid themselves of rulers they don't want? We can support those Catalonians who don't want to be ruled by Spain, and also those Catalonians who don't want to be ruled by the new rulers of Catalonia. The new rulers of Catalonia are basically the same that have been ruling Catalonia for the last 35 years. They have been using their centralised power in Catalonia to proceed with a massive brainwashing operation (mass media, schools…) to impose their nationalist ideology and myths, while ostracising the non-nationalist half of Catalans to the realm of shameful, socially banned political incorrectness. I’ve seen a lot of support for Catalan nationalists and national-socialists coming from “libertarian” gurus of the anglosphere for more than five years, but no support for the oppressed non-nationalist Catalonians. So, excuse me if I’m skeptical of your proposal. Jubal, did you not read my last sentence? Short answer: Yes, I did. Your last paragraph was what I was responding to. The problem is that A being able to do something doesn’t mean that A is going to do that something. Long answer: To be clear, I don’t disbelieve your sincerity. My skepticism arises from the realization of the pervasiveness of secession fundamentalism (see my last comment below). Too many gurus and followers in the English-speaking libertarian movement are heavily invested in it. Mr Wenzel is the outstanding, brave exception, as far as I know. 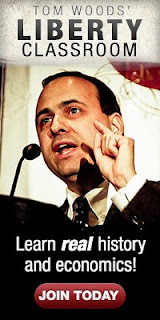 The interview of Jeff Deist with Daniel Lacalle published by the Mises Institute may hint at a reassessment, but I’ve seen the trend of secession fundamentalism reinforcing for too many years to be optimistic. Moreover, I think that framing the problem in terms of secession doesn’t allow to carry out your proposal in any meaningful way. It is a collectivistic game of power, lose-lose for everybody except the new(?) power holders if there is no increase of liberty with the new State. In contrast, approaching the problem with panarchy in mind would bear fruit. Besides the small contribution to the upkeeping of the territorial commons, individuals would be able to choose their preferred political arrangements concerning centralizing/decentralizing dimensions different from the territorial one and, most importantly, they would bear the costs of their own mistakes (in “peaceful” secession, the losers of the mild civil war that we usually call “democracy” bear the cost of the mistakes of the winners; if the civil war becomes hot, most people suffer great loses). Panarchist reform is anathema to the logic of the State, so I’m afraid that it will be discarded as utopian even by fervent anti-State libertarians who like their secession fundamentalism too much and need a rationalization to keep it. So they become cheerleaders for secessionists anywhere, although secession is necessary framed in the collectivist logic of the State, arguing that secession is what the NAP means in the real world. I’ve seen so much energy wasted for decades in Spanish politics with the nationalists of the different regions, achieving nothing but diminished liberty and a fatter political class… I’m certain that focusing all that energy in well understood decentralization (see my last comment below), panarchy, etc. would change what is seen as utopian and what is not. I don't disagree with you that secession, fully developed, is not just territorial, it's also organizational, but it IS territorial. Whether we like it or not, modern states define themselves by their control over physical territory, and that is one way they impact our freedom of action. For a given culture, the smaller the physical territory a state controls, the fewer productive resources it has to plunder and the more the people are able to access their rulers, so I see this as a useful step in ultimately weakening the state, by which I mean it has to be more responsive to the interests of its residents. This is because any resources it loses to competing states are relatively more damaging than if the state were larger, and each individual's views are more weighty than in a larger state. However, this doesn't mean that a smaller state best represents the interests of ALL remaining residents -- that is impossible -- which is why I support successive secessions. But you have to start somewhere. 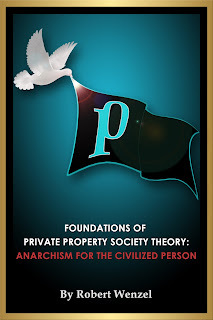 If the ultimate goal is secession down to the individual household's property -- where the household can freely exclude others from its property, decide for itself what to do with its property, and choose to which voluntary organizations it wishes to belong -- then progressively reducing the size of a state in that direction is helpful. I see the basic question being discussed here as: does the implicit threat of, and increase in, violence that a communist (or any non libertarian) secessionist movement pose to the population effected justify the use of force to prevent its success? Or at least justify not supporting it? Helping to de-escalate a violent scenario doesn't seem like it requires more justificastion. I don't think these Catalan communisits are going to increase local or global liberty (and subsequent wealth and peace) one bit. But they will be excersising political self determinition...and also inflicting a larger degree of violence on their fellow Catalans by definition of their communist beliefs. For "many" that violence will be a self inflicted violence. For "many" others it will be imposed by their communist neighbors. For me this actually points to a realization that only a peaceful, libertarian secession can be justified consistantly. While a libertarian secessionist movement would only seek to give people the choice of living state-free, any other secesionist movement necessarily involves resubjugation to another regime - pick your flavor. But back to the Catalans. Unless people are going to literally aid the Spanish govt in putting down this secession, or attempt to co-opt the secessionist/revolutionaty momentum towards a libertarian direction (how libertarian does it have to be?) what else can be done besides letting people try and rule "themselves" awfully? (stinks that your neighbor likes making laws against you)...awfully? I imagine if my home state were in the mess Catalan is now...would I want someone aiding the federal army, or the local politicians and army who now want more of my tax money too!? You implicitly make a very good distinction here between the act of seceding and the post-secession rule. If Spain is forcefully keeping some Catalans under their rule, then it is legitimate for those Catalans to secede either by using force in response -- against the Spanish rulers, but not against their fellow Catalans -- or to attempt to secede peacefully, such as through a declaration, voting, civil disobedience, etc. However, that does not legitimate, nor mean a libertarian has to support, post-secession coercive rule by some Catalans over other Catalans who do not want to be so ruled. "You implicitly make a very good distinction here between the act of seceding and the post-secession rule." You make good points, Randy. I will add something that English-speaking “libertarian” gurus don’t say about Catalan nationalists: they are cultural imperialists. Their aspirations don’t end with a new Catalonian State within the actual borders of the autonomous region they control (with secession forbidden for smaller political units inside the new full-fledged Catalan State). They want to add the territories of Valencia, the Balear Islands and part of Aragon. They don’t recognise the Valencian language as different from the Catalan, for example, something that annoys most Valencian people (not all: there are some Valencians who are Catalan imperialists). Except for their police, Catalan national-socialists don’t have an army now. But if they become a full-fledged State, that will change with time. Rothbard lived in the real world. The real world now: secession is generally not acceptable. It is okay to snuff it out with the force of arms. Rothbard liked making alliances with people otherwise in opposition. This is one of those occasions which opens to world to understanding force of arms is not kosher to maintain current boundaries. Thanks for your ethical and well reasoned stance on this matter, Mr Wenzel. The problem with so many “libertarian” gurus has been their adoption of what I call secession fundamentalism (in my view, they earn their quotation signs in doing so). As a consequence of that, they sound deeply Marxist: the morality of the means has to remain unquestioned in the name of the utopia. What is the mistake behind this? The identification between secession and decentralisation. Secession is only partial decentralisation. It operates only in one dimension: space, i.e., territory. But decentralisation is multidimensional, it implies many dimensions concerning human liberty. The secession fundamentalists confuse secession with decentralisation. But decentralisation is a multidimensional process guided by the principle of subsidiarity: that nothing should be done by a larger and more complex organization which can be done as well by a smaller and simpler organization. The difference may seem subtle but is crucial. Secession, being limited to the territorial dimension, involves always collectivism if nothing else changes, since many individuals are forced into a political union whether they want it or not. However, the principle of subsidiarity is about organizations, not territories. Multidimensional, not unidimensional. Saying that iteration of secession will finally lead to individual liberty and an anarchist polity is utopical. The argument of secession fundamentalists boils down to a matter of numbers in a war of permanent aggression: one individual is supposedly less vulnerable against a tax farm which enslaves 47 million tax-slaves that against one that “only” owns a portfolio of 7 million of tax-slaves and is closer to an utopical state of liberty that will never come. In contrast, subsidiarity consistently points in the direction of liberty because it is concerned with the diffusion of power (in an ideal, but not utopical case, until the individual is able to enjoy the power that naturally belongs to him). Subsidiarity promotes a culture of liberty, while movements targeting territory imply a high risk of promoting a collectivistic culture and war, as history shows. In other words, the NAP is fundamental. Meanwhile, the “secession principle”, if such a thing exists, is contingent upon the respect for NAP. In our very imperfect world when a conflict of secession between a preexisting polity and an aspiring new polity arises, the question is if secession will increase or diminish violation of the NAP. As libertarians, our territory is a symbolic (cultural, resides in the realm of mind) reality where we can fight the battle for freedom. Beware of Trojan horses made of crude matter: you may forget light and embrace dark.